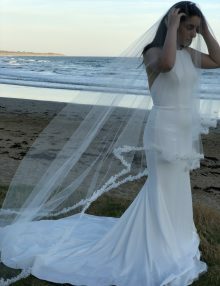 Are you looking for the perfect veil to match your wedding dress and having trouble finding it? 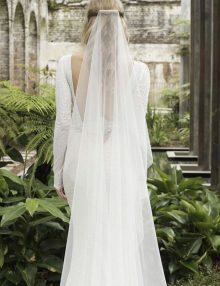 A veil of the highest quality fabrics that is beautifully made? Perhaps embellished with lace or Swarovski beading? 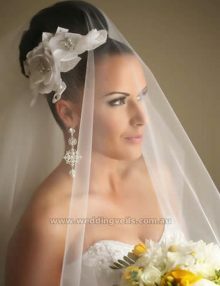 Or you need a veil in a hurry because your wedding day is fast approaching? See our collection of Ready to Ship veils for the time-critical bride. Explore our stunning Veil Collection to find the perfect veil for you! 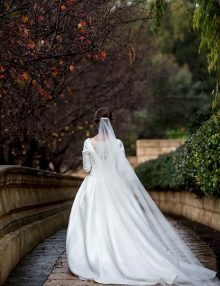 We promise that you will love your veil! Yes they look pretty in the photos, but they are much more beautiful in real life. 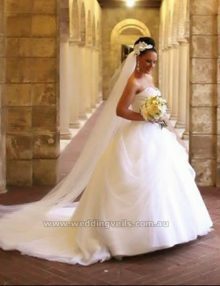 If the veil you buy from us does not meet your expectations or you’re not satisfied with the quality, we’ll give you your money back. Our promise to you! 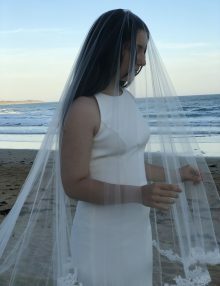 Achieve the Meghan Markle look with this veil, simply breathtaking! 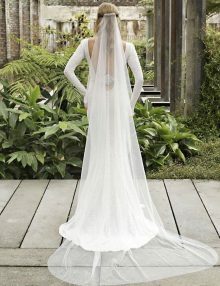 Sheer and simply breathtaking veil!